LANDSTUHL, Germany -- June is Post-Traumatic Stress Disorder (PTSD) Awareness Month, so it's a good time to think about this common problem. Estimates of Post-Traumatic Stress (PTS) in the military suggest that 12-15 percent of service members who have been deployed meet the PTSD diagnostic criteria. Many more experience the effects of PTS without necessarily having a diagnosis of PTSD. PTS also is common in the general U.S. population. Ten percent of women and 5 percent of men meet the criteria for PTSD as a result of the various traumas that people face--sexual abuse, domestic violence and other crimes. The rate of PTSD in females is higher because they are more likely to be victimized. Some experts suggest that it is more appropriate to talk about Post-Traumatic Stress Injuryinstead of using the label of Post-Traumatic Stress Disorder. It is important to recognize that PTS is not some disease you catch; it is the result of experiencing a severe trauma, and then responding to that trauma in a very human way. And PTS is a pervasive injury. It affects one's thinking, emotions, memory, sleep, physical health, sense of self, and spirit. Someone with PTS typically struggles with intrusive memories, images and nightmares, which create a kind of persistent mental torment. There is hypervigilance and a heightened level of arousal. The fight/flight/freeze response is in overdrive. Trauma survivors also tend to be irritable and angry. PTS also is marked by avoidance -- for example, avoiding public places and crowds. The person also puts a lot of effort into blocking out thoughts and memories of the trauma, and is reluctant to talk about it with anyone. Sometimes you see excessive use of alcohol or other drugs, excessive gambling or promiscuity. These behaviors are intended to numb the person emotionally or distract them from the thoughts and feelings that torment them. PTS often leads to a very negative view of self, others and the world -- often leading to an exaggerated sense of danger and vulnerability, difficulty trusting others, unreasonable self-blame and guilt, and feelings of worthlessness. Furthermore, PTS can have a huge impact on relationships -- the anger can be an issue, of course, but also emotional numbing, withdrawal, and isolation take their toll on relationships. Because the emotional impact of PTS is so strong, and some reactions are over the top compared to what one ordinarily sees in everyday life (like hitting the floor when a door slams), the person with PTS starts to think they might be crazy. And too often, uninformed people around them might suggest the same. But it's not crazy at all. Indeed, it has been said that PTS is a normal response to abnormal events. Nonetheless, PTS can be confusing for family and friends. One often hears the statement that the person who came back from war is not the person who went away. Different factors can increase the likelihood of developing PTS -- a history of earlier trauma, multiple traumas, multiple deployments, and prolonged exposure to traumatic situations. Also, it may be that some people's baseline brain chemistry puts them at greater risk for PTS. That is, the part of the brain that is responsible for the fight/flight/freeze response may be primed to react more intensely. A key factor in the development and maintenance of PTS is what the person comes to believe as a result of the experience. Take this scenario: A Soldier loses a friend in combat -- a terrible event no matter what. If the surviving Soldier tells himself that his friend died because he was in a war environment, he will grieve over the loss of his friend, but PTS is less likely. On the other hand, if the Soldier says, "It's my fault my friend died," the likelihood of PTS has gone up dramatically. Similarly, a returning Soldier who does not differentiate between the risk in a combat environment and the risk at home is more likely to develop PTS than a Soldier who sees that the risk at home is much lower. The good news about PTS is that it is treatable, although it takes time and a lot of hard work. You can't completely erase the effects of PTS, but people can get to the point where the negative impact of the trauma is greatly reduced; where they are able to experience happiness and peace of mind again; where they have the freedom to do what they want out in the world; and where they can have solid, loving relationships again. For most people, therapy happens in an outpatient clinic--for example, the LRMC behavioral health clinics that serve adults, adolescents, and children. Other military Medical Treatment Facilities in Europe also have behavioral health clinics. One issue to consider is access to treatment for different categories of beneficiaries--active duty, family members, retirees and civilian employees. If an MTF cannot provide the needed services there are providers on the economy. TRICARE can provide information about this option. One treatment option for active duty military personnel in EUCOM, AFRICOM, and CENTCOM is the Trauma Intensive Outpatient Program (IOP) at LRMC (aka Evolution). However, not everyone needs the level of intensity of an IOP, so interested servicemembers should talk to their outpatient behavioral health provider to see if it might be an appropriate choice for them. An important consideration in getting treatment is whether you are getting the right kind of treatment. There are three forms of treatment for PTS that have been shown to work. These are Cognitive Processing Therapy, Prolonged Exposure, and EMDR. It is important to ask what type of treatment the provider offers and, as treatment progresses, make sure the provider is sticking to the protocol. Another consideration to ask about is how often someone can be seen. Trauma recovery is hard work, and it goes better with regular appointments. If someone is seen once every 4-6 weeks, they are at a disadvantage with respect to recovery. People who want to recover have to commit to regular appointments. If someone goes to therapy just once in a while, it is unrealistic to expect much progress. There are good online resources related to PTS. 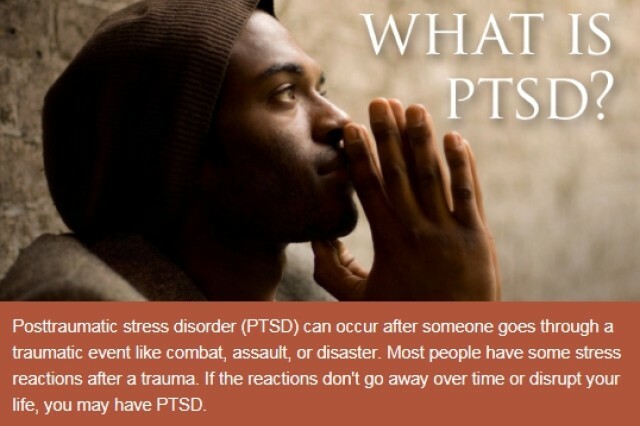 For example, the National Center for PTSD is a solid source of information for patients, families, and professionals. There are also some Twitter feeds that can provide information and encouragement. Some of these include @ptsdpro, @ptsd, and @ptsdchat.